The heart of women’s ministry at Prince is for women to grow in their intimacy with Jesus, and be equipped to have Kingdom impact on their families, their community, and throughout the world. Are you a new mom? Do you have a child younger than kindergarten age? Crave a couple hours out of the house each month for some fun social interaction with other moms? Just need some encouragement and tips for being a mom? Well, then MOPS is meant for you! 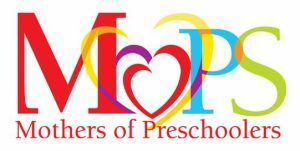 Our MOPS program meets together each month for creative activities, hearing speakers on issues relevant to moms, small group discussion, breakfast and fun with other mothers! We also offer Moms Night Outs as well as coordinate play dates! Be sure to follow us on Facebook for upcoming events. We meet Wednesday from 10:00-11:30AM. Email us at ahill181@gmail.com for more information. Or check us out at Prince Avenue MOPS on Facebook. We look forward to connecting with you. We’re living in a time where we want our ears to be tickled to suit our own desires more than we want the Truth of God’s Word. 2 Timothy 3:6 refers to false teachers creeping into the households and capturing weak women. Are you a weak woman? We are called to be warriors for God’s kingdom! It’s time for us to rise to the occasion and make sure that we aren’t missing out on the adventure that is Jesus! The Sparrow’s Nest is a Christ centered ministry that seeks to change lives through the power of God and relationships by meeting the needs of at risk adults and youth in Athens-Clarke County. Prince Women provide and serve a hot lunch the 2nd Thursday of each month. For more information contact Hollie Smith, 706-769-8741 or hollietsmith@gmail.com or Phyllis Eubanks 706-353-0417 or peubanks48@gmail.com. Area Churches Together Serving provides material and emotional support to residents of Oconee County with emergency needs. Prince Women serve at ACTS the 2nd Friday every other month stocking food shelves, preparing bags and boxes to give out and assisting with paperwork as clients come for help. For more information contact Susanne Carter, 706-255-3765 or cartersusanne4@gmail.com. If you have any needs you would like us to pray with you about, please contact our prayer coordinator, Carol Brannon at carolcbrannon@gmail.com.